Cheap stress balls are the 7th most popular office promo product, according to the British Promotional Merchandise Association. They come in a wide variety of shapes and sizes and are affordably priced at around 70p per item. Did you know - stress balls come from 14th century China? We think of stress balls as a modern invention to ease executive stress, but in fact the idea is much older. The concept originated around 1360 A.D. during the Ming Dynasty in Hebei, China with the invention of Baoding balls. Baoding literally means physical exercise - balls are rotated repetitively in the hands to increase strength, improve dexterity, and stimulate circulation. Today, they are used around the world to treat a wide variety of conditions including headaches, arthritis, repetitive strain injuries, fatigue, and of course stress. Cheap stress balls aren’t just a desk toy…they really work. Pain relief - in the centre of the V between your thumb and index finger. Relaxation and insomnia - just above your wrist crease directly underneath your little finger. Colds and flu - your fingertips are linked to the sinuses. Tension in shoulders - the entire length of your little finger. 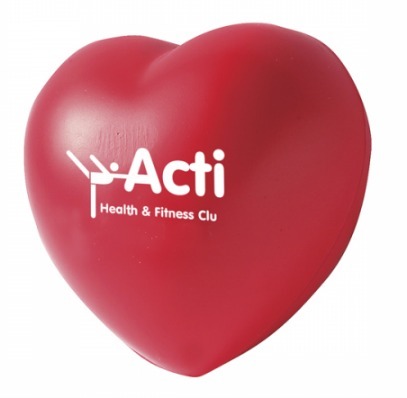 Stress balls are made from polyurethane rubber and have a gel or foam centre making them malleable. They are designed to be squished, squashed, and squeezed in order to alleviate tension, and then bounce back to their original shape. When you’re stressed-out your body physically clenches, repetitive squeezing releases this pent-up energy, thus relieving stress and tension. Cheap stress balls are a successful office promotional product. Firstly, they’re a low cost item allowing you to achieve a good return on investment. Secondly, they’re designed for prime position on the desktop for excellent visibility. Thirdly, people love them…whether the recipient simply enjoys the novelty aspect, likes to keep their hands busy, wants to brighten up their desk, or uses their ball to relieve shoulder tension. Over 13 million working days are lost every year because of stress, according to HSE research. A 2006 survey by the Chartered Management Institute questioning 1,541 UK managers revealed that 43% feel angry at work and 30% are irritable towards colleagues. Stress balls send the message you’re a caring organisation, which believes in a happy, healthy office environment. And, your promo may even really help someone suffering from the symptoms. For those that don’t believe in the power of acupressure, cheap stress balls have good novelty value. 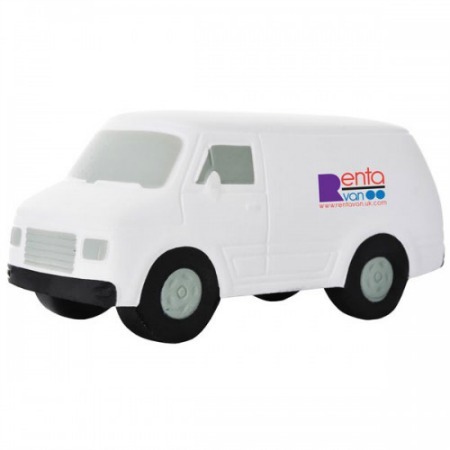 They’re available in all manner of different shapes so you find something that suits your business perfectly. We offer stress houses for estate agencies, vans for courier companies, hard hats for builders, and planes for travel related business. If you’re looking for the fun factor, there are squeezy cows, sheep, pigs and even brains. 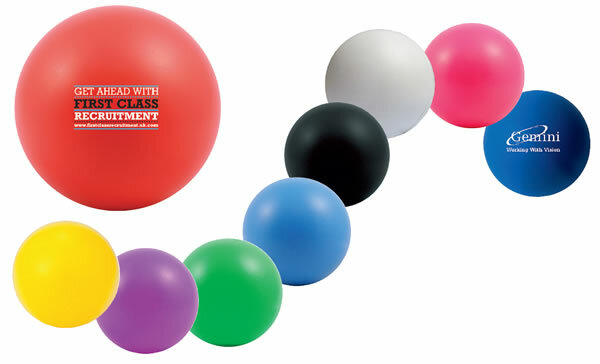 Cheap stress balls are available from just 74p each, for a basic 60mm diameter ball in a choice of bright colours. This includes one-colour printing. Simple-shaped toys like cubes, globes, footballs cost just under £1 each. More complex designs like animals, vehicles, and houses are priced between £1 and £1.40. A higher-end model, like our Anti Stress Desk Character costs around £2 per item. This smiley faced desk-friend stands at 105mm high, he has a cute bow-tie, and an internal magnet in his head to hold paperclips.